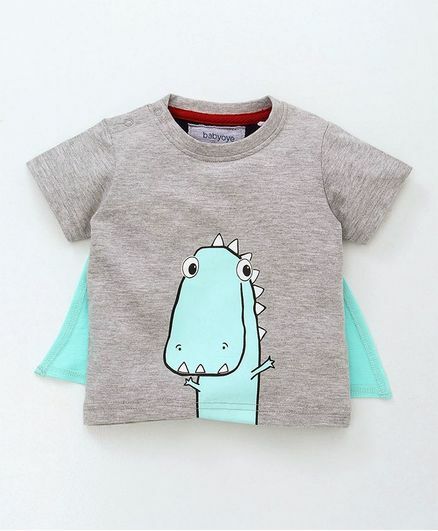 Snuggly soft, this tee and cape combo from Babyoye is perfect outfit for outings. The cape on the tee is attached with snap buttons, making it easy to remove and reattach. The round neck and shoulder button closure makes for fuss free dressing. The Dino print to the front makes it look stylish. Your kid will feel like a super hero wearing this tee. Styling Tip: Mix n match this tee with shorts, sandals and cap.